Your Customers Are Ready For Personalization. Are You? Retailers like Amazon have been using customer data for years to create personalized recommendations that customers love and respond to. What’s better than a company knowing what you want? While some customers still have reservations about providing personal data, these concerns are lessening with each year – and not surprisingly, they’re divided strongly between the older generations and the young. 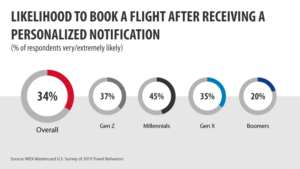 According to the WEX 2019 U.S. Travel Trends Report, based on a primary consumer research survey conducted by Mastercard Advisors for WEX, nearly half of Millennials (45%) and over a third of Gen Z travelers (37%) are very or extremely likely to book a flight after receiving a personalized notification. Gen X was only slightly less inclined, with 35%, while only 20% of Boomers were likely to do the same. Taking this idea a step further, the survey asked if travelers would allow a computer to plan a whole trip based on data from their travel history. The results were similar, with Millennials the most receptive at 33%, followed by Gen Z at 32%. Gen X was less comfortable with this idea, with only 24% saying they agree completely or somewhat that they are comfortable with this ideal, and only 13% of Boomers agreed. While these stats show Boomers may not be keen on digital recommendations, it doesn’t mean they aren’t interested in personalized experiences. Boomers, particularly in the luxury segment, are looking more to travel advisors to create a personalized, authentic travel experience. They are not giving up on the human touch. 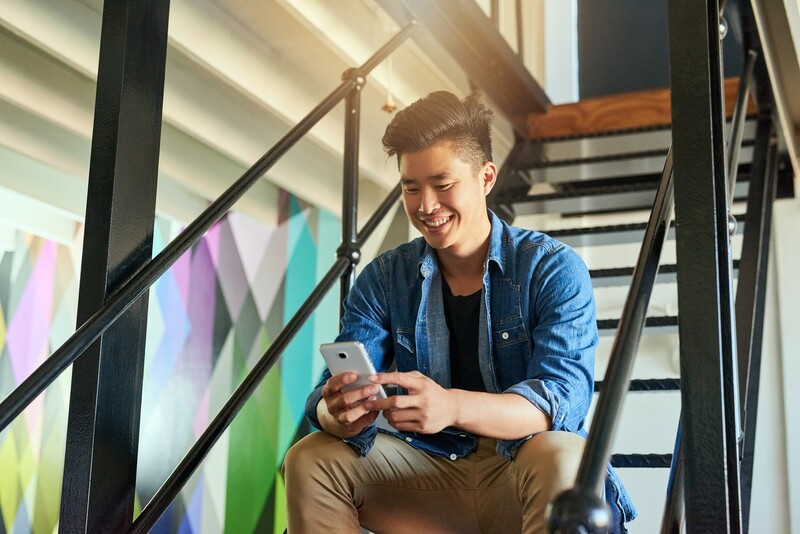 Another survey undertaken by Adobe, echoes the themes in the WEX report and shows that younger generations are not just open to personalization, but expect it. And often, these expectations are not being met by travel companies. Millennials, in particular, report that they are not impressed with how their favorite travel brands are anticipating their needs. An additional survey by Swift and Adobe found that travel executives are aware of this shortfall, more than a third of travel executives felt their personalization efforts could be improved. Marriott has a team in Bethesda, Maryland, that monitors real-time social media activity worldwide, waiting for an opportunity (such as an engagement announcement) to surprise and delight guests at their properties. Hotel giant, AccorHotels, is using personalized email – 1.2 billion a year – to enhance the digital experiences of customers and partners. This effort is part of a five-year, €225 million digital strategy. Ryanair is also making large investments in technology in order to aid in personalization efforts. They have focused on bringing more IT and data analytics expertise to their team to help translate traveler data to personalized recommendations, a la Amazon. These efforts show that travel companies are committed to delivering on the promise of technology to make experiences more personalized. 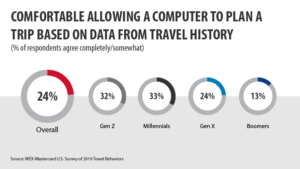 Travelers, particularly the younger generations, are eager for companies to make smart, data-driven recommendations that steer them toward the best choice. These tendencies present a huge opportunity to reach consumers directly on the path to purchase. The right approach can sway them toward your brand versus your competitor. Since joining WEX in 2014, Noelia has played an important role in developing our corporate payment solutions. 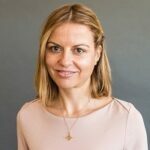 Noelia is an experienced payments professional with over 15 years’ experience in roles at industry leaders including ING Direct and Barclaycard. Noelia has a bachelor’s degree in Journalism from University Pontificia de Salamanca, Spain, and a master’s degree in Marketing and Sales Management from ESIC Business School, Spain. Get the latest Travel Payments Insights news in your inbox.